D150 has calving ease bred in as well. Dam is a young Bayers bred cow that is doing a good job here. 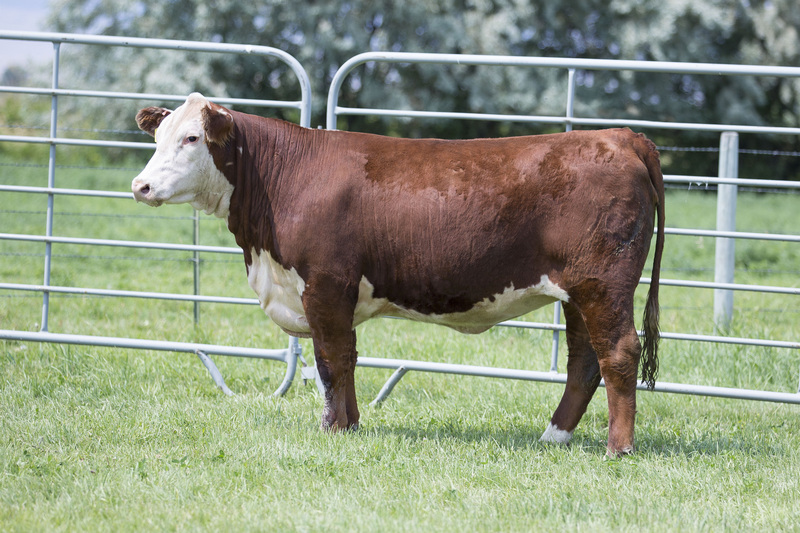 AI’d to E T719 BRAXTON C009 on 4/16; pasture exposed to BAR STAR MAGNITUDE 737 from 6/03 to 7/31; ultrasound indicates safe in calf to AI date (heifer). Deep ribbed, soggy, dark red heifer that goes back to some outstanding Reimtall bred individuals as well as Harvie’s 51F cow. 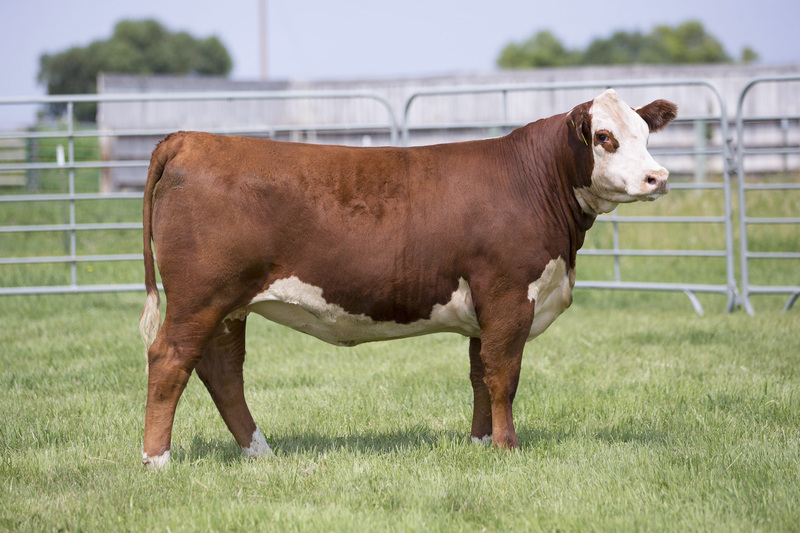 AI’d to ET719 BRAXTON C009 on 4/16; pasture exposed to BAR STAR MAGNITUDE 737 from 6/03 to 7/31; ultrasound indicates safe in calf to AI date (heifer). 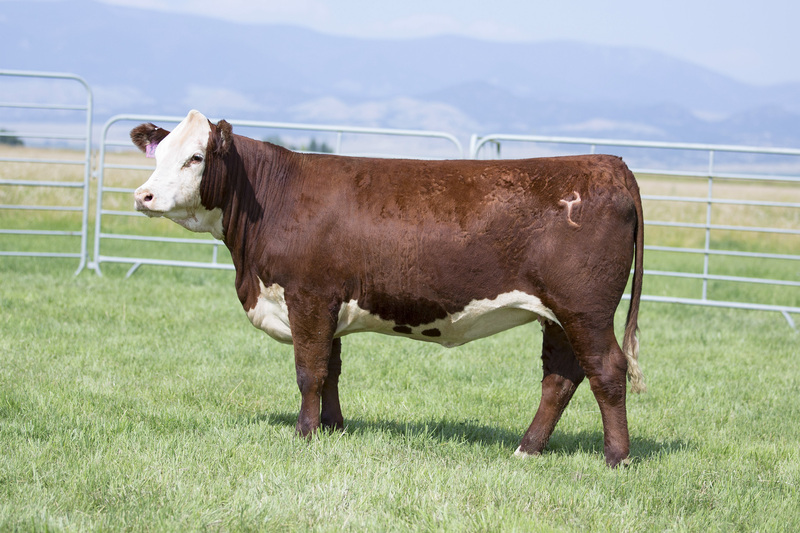 Sniper 203Z daughter that goes back to JB Anchor Herman 37H on the bottom of her pedigree. Herman produced some outstanding cattle. D130 has great length and has good pigmentation. Pasture exposed to BAR STAR MAGNITUDE 737 from 6/03 to 7/31; ultrasound indicates safe in calf (heifer). 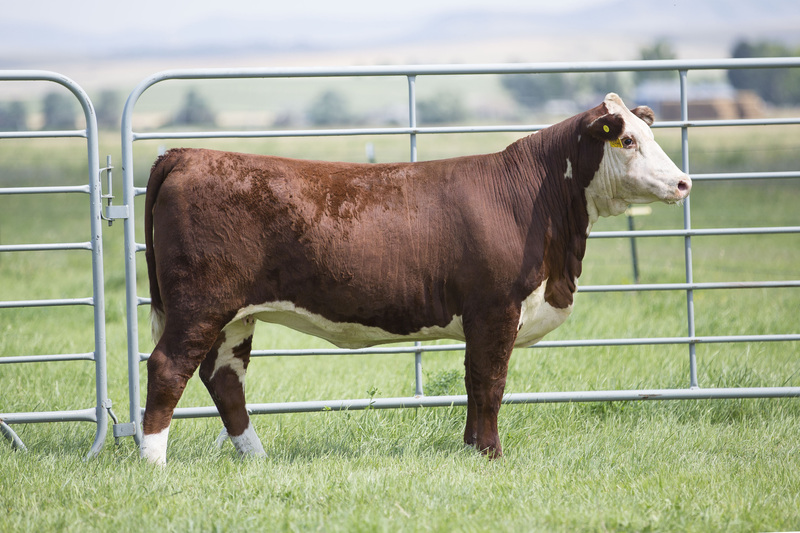 Daughter of X84, a sire that left us with some really good cattle. The Braxton 719 influence assures calving ease. D123 should prove out to be a very useful individual. AI’d to ILR H MILES 4140B ET on 4/16; pasture exposed to BAR STAR MAGNITUDE 737 from 6/03 to 7/31; ultrasound indicates safe in calf to AI (heifer). Lots of performance bred into this short marked heavily pigmented Schatzee daughter. 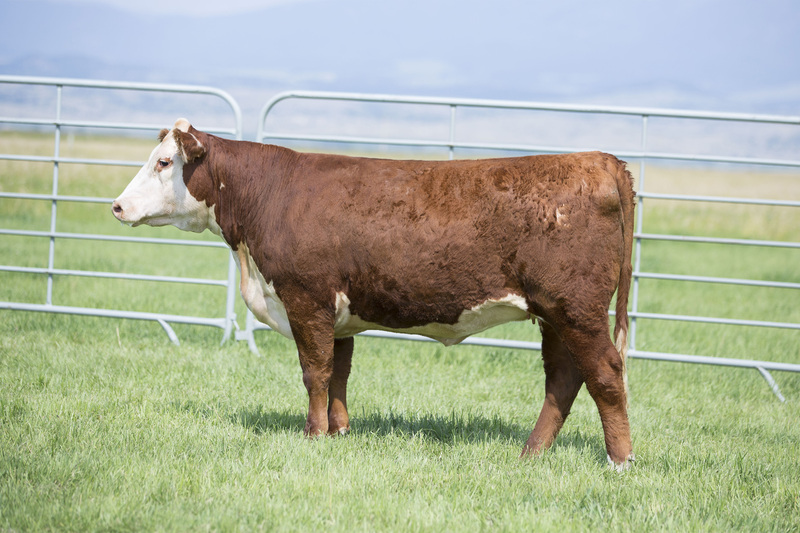 Our Schatzee Z712 daughters in production are making excellent cows and E22 should be no exception. E22’s mating to Churchill Sure Bet could be very exciting. 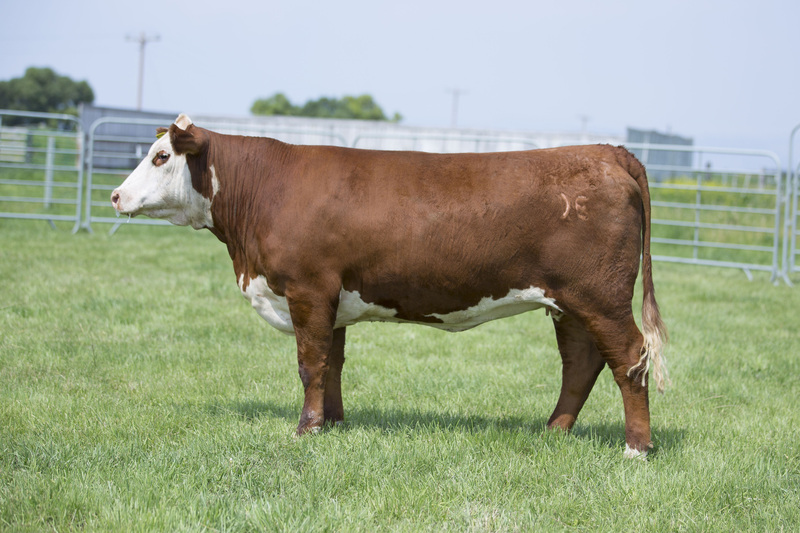 AI’d to CHURCHILL SURE BET 4195B ET on 4/16; pasture exposed to BAR STAR MAGNITUDE 737 from 6/03 to 7/31; ultrasound indicates safe in calf to AI date.